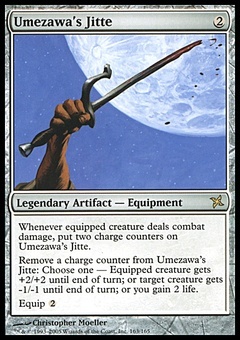 Merseine (2) ($0.00) Price History from major stores - Fallen Empires - MTGPrice.com Values for Ebay, Amazon and hobby stores! 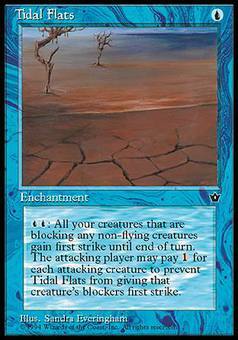 Card Text: Enchant creature Merseine enters the battlefield with three net counters on it. Enchanted creature doesn't untap during its controller's untap step if Merseine has a net counter on it. 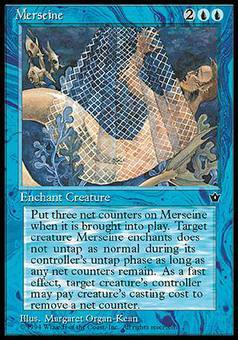 Pay enchanted creature's mana cost: Remove a net counter from Merseine. Any player may activate this ability, but only if he or she controls the enchanted creature.